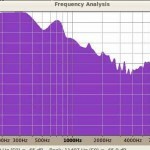 Tags: Audio mastering EQ tips, Audio mixing EQ tips. Parametric Equalizer is one of the most useful mixing tools available to any audio/recording/mixing engineer. Yet, beginners do not fully understand the concept and operation of these parametric equalizers. As a result, they misunderstood the usefulness of this tool and does not able to attain the sound quality they need. 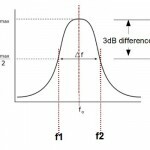 To get started with the very basic and uses of parametric equalization, I recommend you will read this tutorial on Parametric Equalization Theory. Parametric equalizer is a perfect tool to shape the sound of your mix or any of the tracks. Beginners in recording and mixing are often acquainted with only one equalizer which is called “Graphics Equalizer”. a. Graphic equalizer does not provide Q control(more about this later). b. Some graphic equalizers are NOT designed for serious audio mixing and just for hi-fi equipment monitoring purposes. 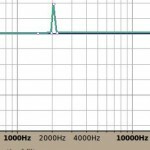 So it means that the accuracy of the graphics equalizer would not be very reliable if you want in-dept audio frequency adjustments. Now how to use the parametric equalizer? 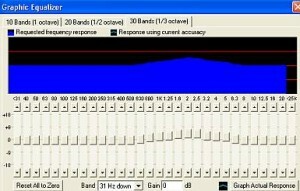 Shaping the sound is the general objective of using this tool. In details it is an audio frequency filtering tool that can be used by the engineer to alter the frequency response of the audio material. As you can see there are 3 important adjustments- center frequency, gain and Q. Center frequency is where the adjustments would be most felt. The gain would be used to set the amount of cut or boost. The Q would tell how wide or narrow are the EQ adjustments. a.) Input gain- controls how much would be the input level to the parametric equalizer. b.) Output gain- controls how much would be the output level. If there are two sliders, it means it accepts stereo inputs otherwise if you only see one slider; that’s for mono. If you are using parametric equalizer for a mono track, use the mono version of the parametric equalizer.